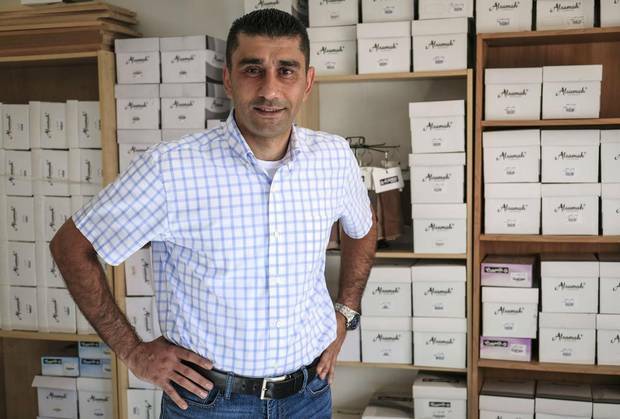 Syrian refugee Rami Tawil is trying to re-start his Syrian business selling socks and hosiery in Calgary. Rami Tawil and his family left Syria for the safety of Canada 20 months ago. But he didn't leave behind his drive for the world of business. The 42-year-old father of three is taking English classes, working a full-time job, and reconciling his family's new, safer life in a suburban Calgary townhouse to the prosperous but perilous one they had in Aleppo. At the same time, he recently started up a retail operation – selling imported Middle Eastern brands of high-end women and girl's tights, using a model similar to the one he honed over two decades in his home country. "I will try to make a good business, because I trust I have a perfect product," Mr. Tawil says. Mr. Tawil is part of a small group of recently arrived refugees trying to bring the businesses they ran in Syria to Canadian customers. But while branching out beyond the entry-level jobs they're often working, they face language barriers, a different business culture and a lack of capital. Like many immigrants and refugees who came before them, they are using their backgrounds and skill sets from their home countries to try to become Canadian entrepreneurs. Across the country, they're getting help from business groups and, sometimes, business greats. For Mr. Tawil, the adjustment to life in Canada has not been easy. In Syria, he says he was a successful manufacturer and retailer of hosiery, underwear, makeup and accessories. He was able to operate even as the civil war violence escalated. But after bombs blew out the windows of their home for a second time, and the children's nightmares got worse, he says he and his wife Rima in 2015 made the difficult decision to leave. Syrian refugee Rami Tawil, right, shares a moment with his six-year-old daughter Luna as his son Elias, 9, looks on. For Mr. Tawil, there are many challenges. Canadians, he says, don't wear tights and pantyhose as much as Middle Easterners. He doesn't like that anonymous transactions between the shopper and retailer are the norm here – he prefers to have an ongoing relationship with customers. And he misses home. "The first two months, or three months, I was very sad," he says. "But now, day after day, I am getting better." 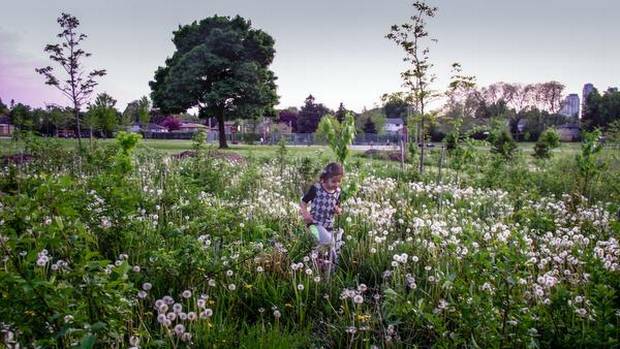 In British Columbia, more than 40 per cent of all Syrian refugees in the province have settled in Surrey, drawn by the relatively affordable housing. At the city's board of trade, chief executive Anita Huberman says the business centre – where people come for help in registering their businesses and other advice – has seen a recent influx of Arabic speakers. Ms. Huberman notes that 30 per cent of Surrey's population is of South Asian origin. They might not have been refugees, but many didn't speak a word of English or know much about Canadian business culture when they first arrived, she says. Many have made a good living running their own firms. "Even for a Canadian who's been here since birth, it takes three-five years to get a business going," she says. "I remain hopeful Syrian refugees can also find entrepreneurship as one of the pathways for success." Technology entrepreneur Jim Estill, chief executive of Guelph's Danby Products Ltd., made headlines last year in his push to help settle more than 50 Syrian refugee families, sponsoring them with $1.5-million of his own money. Speaking to The Globe this week, he says of that group of more than 200 people, he has so far seen one business success and one failure. He had to tell a tailor that Canadians usually only alter their clothes, and there's not significant demand for custom work. One man who was a farmer in Syria wants to be a farmer in Canada, too. "I had to explain that even if you have $1-million worth of equipment, and a farm, you have a hard time making a go of it here," says Mr. Estill. He advises newcomers to get work experience before they try to launch their own firm, or that they find a Canadian partner to help with assessing local tastes and demands. Even with the best products on offer, Mr. Estill says, they need a solid marketing plan. But even while sounding notes of caution, he believes "good entrepreneurs are in shortage, all the time." Mr. Estill says Frank Hasenfratz, founder of Linamar Corp. – one of Canada's largest auto parts makers and the largest company in Guelph, Ont. – serves as a powerful example. "He was a Hungarian refugee," Mr. Estill says of Mr. Hasenfratz, who arrived near-penniless to Canada in 1957 before building Linamar into a global manufacturing giant. "I would love for a Syrian refugee to start the next Linamar." For Mr. Tawil, there is a clear business opportunity: He says too many of the tights and pantyhose sold in Canada are high-priced but low quality. The same goes for men's underwear. He says his company, Rami Socks Canada, can introduce Canadians to Middle Eastern brands. And he hopes to follow up his Facebook page and the hosting of home events with a professionally designed website, and eventually a storefront. Mr. Tawil's wife Rima says she will never forget a moment two years ago, as the family prepared to depart the Canadian embassy in Beirut for Calgary. She says a Canadian official there gave them some parting words. "It put a big mission on our shoulders – to start a new life. Every time when we face a new thing in our life … I remember when she said: 'Good luck in Canada. That means life will start again, and I wish you good luck there.'"